It's time for another Nintendo Download Update in North America, and this week serves up a fairly diverse range of options. We have many promising Indie efforts on Wii U, a Sega Genesis classic reborn in 3D along with lots of other downloadable delights. Let's get to the details. Missed the European Nintendo Download Update earlier this week. Oh you! Never mind, the details are right here. The Bridge (The Quantum Astrophysicists Guild, $9.99) - An intriguing puzzle title long on the wishlists of some, this has been critically acclaimed on PC in particular. In addition to an eye-catching visual design its puzzles play around with perception and gravity; we gave this a strong recommendation in our The Bridge review. 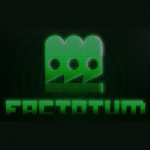 Factotum (TACS Games, $9.99) - A heavily stylised puzzle game, you control two robots that need to help each other and repair the ship across increasingly challenging stages. The robots themselves are charming and backed up by some story narration, and we gave this a reasonable recommendation in our Factotum review. Mortar Melon (Nitrolic Games, $5.99) - Drag the mortar, aim, and fling the melon to collect the fruit. 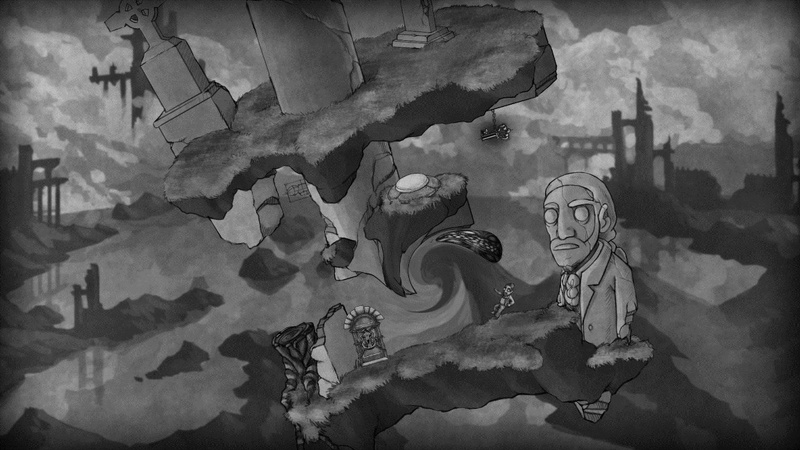 Whizzing through the air you'll fly across the world, tapping and dragging your environment to release the juicy goods. Look out for pointy objects or you'll explode on impact, sending melony chunks and pips flying. Watch out for our review of this crazy, fruity, physics machine which will be ready soon. Woah Dave! (Choice Provisions, $4.99) - Gun for digital glory by slaughtering aliens, stealing their loose change, and racking up the highest score possible. Easier said than done, however, as everything on the map - including your own ammo - is trying to kill you. No one ever said being a Dave was easy. 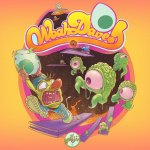 We really liked the 3DS version of Woah Dave! and we'll be taking it's big screen counterpart for a spin soon in our upcoming review. Crab Cakes Rescue (Maximum Games, $7.99) - Crab Cakes Rescue is a unique puzzle game that will pinch your brain. Navigate your way through nearly 100 vibrant levels by shedding your shell to create new opportunities to escape. Each time a shell is shed, a block is created and your crabby crustacean self is shrunk. You must use these tricks wisely as you have a finite number of shells. And beware of pesky seagulls and other bothersome beach buddies as you find the best way to get up, down, and around each mind-boggling level. Watch out for our review which will be with you before you can erm... rescue a crab cake. Splatoon Testfire - The Splatoon Testfire is making a grand return! On Aug. 21-23 from 3-5 p.m. PT every day, you can demo several maps and weapons in Turf War multiplayer mode for free. Download the demo now in the Nintendo eShop on Wii U so you are ready when the ink starts to fly! More info here. 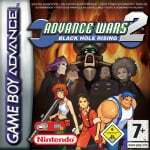 Advance Wars 2: Black Hole Rising (Nintendo, $7.99) - This gives you a Game Boy Advance fix for the week, continuing Intelligent Systems' excellent warfare strategy series. Picking up directly from the first game, this entry introduces new units and strategies into the formula; we praised this highly in our Advance Wars 2: Black Hole Rising review. Genghis Khan II: Clan of the Gray Wolf (Koei Tecmo, $7.99) - Before Koei Tecmo could recreate battlefields with button mashing gameplay it had to resort to strategy for its battling fix. It did it rather well in the SNES era, too, with this game having a historical slant and also being a lot of fun; we gave it a solid recommendation in our Wii Virtual Console review. As always, we'll take another look to see how it shapes up no the Wii U. Little Battlers eXperience (Nintendo) – In 2050, customizable palm-sized robots known as LBX are pitted against each other in battle, and now you can get in on the action! Customize your LBX with parts from more than 130 sets to create one of more than 30,000 possible designs. Then wage robot war in real-time battles! Team up with characters from the TV series or take on friends in local 3-on-3 battles. Check out our Little Battlers eXperience review to find out if this is the game for you. 3D Gunstar Heroes (SEGA, $5.99) - An iconic Sega Genesis release gets the treatment from M2, with this one being one of the games that established Treasure as an elite arcade-style developer. This colourful run-and-gun game has additional options such as double life and Mega Life to help players reach the end, in addition to local multiplayer. We'll dive in to bring you a review. Take up to 66 percent off Capcom games like Monster Hunter 4 Ultimate and many more from 9 a.m. PT on Aug. 24 to 8:59 a.m. PT on Aug. 31. That's everything coming to North America this week - let us know what you plan to download in the poll and comments below. The Bridge (Wii U eShop) Factotum (Wii U eShop) Mortar Melon (Wii U eShop) Woah Dave! (Wii U eShop) Crab Cakes Rescue (Wii U eShop) Advance Wars 2: Black Hole Rising (Wii U Virtual Console) Genghis Khan II: Clan of the Gray Wolf (Wii U Virtual Console) Little Battlers eXperience (3DS Retail) 3D Gunstar Heroes (3DS eShop) One of the many discounted games or demos Nothing for me, I'm waiting for Super Mario Maker! Glad NA now has Advance Wars 2, where's Zero Mission though! **Sobbing hysterically at the fact that Nintendo of America hates Metroid and refuses to release Zero Mission. Nothing for me, but im not waiting on super mario maker. Getting the Bridge and Gunstar Heroes, Factotum being a possible third. Little Battlers eXperience I think will be a future pick up. Looks pretty interesting. Plot twist: it only has ONE demo use. I... hate to say it but... hasn't anyone noticed that since Iwata's passing... NA has started getting the games we lacked from Europe? Wow, this is a solid week. Although I'm not sure I'll get anything. Maybe I'll pick up MH4U for my son if it's 66% off....that puts the price around $13 right? That seems too good to be true IMO. @KickButt_Gaming I heard that, but my copy says 29 uses remaining. Unless its a bug and there is only one? @Daemonite Yeah, that is rather biased. Anyway, gonna get Gunstar, and try to convince my friends to do the same. It'll be hard just cuz they don't like buying digital games. I think I'm gonna buy Senran Kagura. Decent price for all the... ahem.. "action" this game contains. WHOA. Good week, so good that I am going to be broke for a while. Daaaaaaaamn. Probably getting the Hatsune Miku demo later...the Capcom discounts sound really nice too, though. Nothing for me, but I don't want Super Mario Maker. I don't even know what platform it's on. If it's for Wii U, I don't have a Wii U. Advance Wars 2 since I never played it the first time around and Hatsune Miku demo to get my Rhythm fix. I may also get Little Battlers eXperience if gaming backlog allows time for it. @ikki5 Were there assumptions about those games not ever being released when Iwata was alive? I don't understand your connection there. Gunstar Heroes. I've been interested in it for quite some time now, so of course I'm getting it now! I will wait to see what Capcom puts on sale, but even then I am pretty broke right now. That said, I still have more games in my backlog than time to complete. Most of the Humble Bundle, Earthbound: Beginnings, MH3U, and Hyrule Warriors are all keeping me busy right now. There are times I miss my childhood where I only got a game every few months unless I borrowed from someone else. What is Capcom putting on sale? I will probably get Whoa Dave! because I have it on 3DS. I'm waiting for Freedom Planet but it keeps getting delayed no with no new release date. I was saving my money for that but my patience is running thin. Finally Senran Kagura Burst. Has been waited for discount for a long time. I hope Metal Gear is part of the sale!I've been waiting and waiting! Wait, the CapCom sale doesn't even start today? @Gold_Ranger. Metal Gear is Konami not Capcom. @DreamOn No, it is just stuff never arrived that was released from Europe, now for 3 weeks in a row, we've been getting the stuff people have been wanting from Europe. Just a weird coincidence. Any word on what games are on sale by Capcom? Gunstar Heroes and I might try out the Miku demo. It's not really my think but I've been looking for a good rhythm game since I finished up Curtain Call. @Gold_Ranger Snake Eater is only twenty dollars. @Tasuki - still too expensive! Nothing for me this week, but I'm definitely getting Mario Maker when it launches. I really want them to launch XC over here, but I kind of understand why they aren't going to. The bridge and Shin Megami Tensei: Devil Survivor Overclocked for me. Finally AW2 ... 'bout time! Well... I am going to wait for Super Mario Maker, but I AM going to get 3D Gunstar Heroes. Where is the 3DS VC? Freedom Planet is on the eshop!! Weird, I heard it was not going to be released and I downloaded the demo and Im not getting the discount..
Another Thursday rolls by, and more tears are shed over the absence of Zero Mission. Nothing for me this week and I'm not waiting for Super Mario Maker. @Armand7 Six feet under that's where. @MarceloKamui It got pulled from the eshop, the release was a mistake on NoA's part. @Armand7 It's dead. Has been dead for a while. Especially in Japan. Please buy Advance Wars 2 (and 1 if you haven't already)!!! I really want to make sure Intelligent Systems know that as much as we love Fire Emblem we also LOVE Advance Wars and we want another one!!!! Advance Wars 2 someday probably. If I get LBX, it'll be retail. 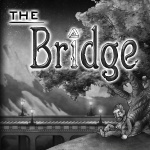 The Bridge sounds very tempting, it's the length and replay value that is make me hesitant. Why is NOA not giving us Zero Mission? It's ridiculous at this point. Sega is about the only thing keeping the 3DS eshop alive anymore. I grabbed 3D Gunstar Heroes of coarse. Gonna be cheap this week and go with the Hatsune Miku demo and cross-buy copy of Woah Dave. Definitely hoping to get 3D Gunstar Heroes later down the line, though. Pretty sure Zero Mission is the only major 1st party GBA game left to add that wouldn't be redundant, or at least that I can think of off the top of my head. Just downloaded that 3DS boobies game last night. I'm glad that I waited for it to go on sale like I had predicted due to the release of the sequel. @icedude545 Ah. Wasn't really including Mother 3 since they don't seem to want to localize it. I also don't see them adding the Pokemon games, or at least the main series ones. There's still Mystery Dungeon Red Rescue Team to add though. @Kiyata_Hamasaki It makes you wonder what was the point of releasing "new" 3ds. Not needing a cpp is nice for the few games that use it. The faster processor and stable 3d is great, but aside from Xenoblade what else is there? It has very few exclusives retail or digital that the regular xl couldn't handle. Loved Woah Dave! on 3DS, so I'll go ahead of cross-buy that onto my Wii U. Might download Splatoon Testfire again to satiate my lack of time to own and play the game. I'll be waiting for the Capcom discount to see if there's anything in there I want to scoop up. And since Life of Pixel is within my backlog list, I may just go ahead and pick that up to. Hmph, not bad-- not great, but I've seen worse weeks. Wow an SNES game. I thought Nintendo abandoned the SNES on VC. Might have to get Advance wars 2 to ween me off my Slaton adfiction. And I spent about 80 hours on 1. @IceClimbers That EU has, sure. In general there's Mario vs DK and a few others. Regarding 3rd party GBA games from developers who have supported Wii U VC in the past, there's 2 Mega Man Battle Network games (5 and 6) and one Mega Man Zero game (4) left where the latter is already in EU. I wish Nintendo would drop their fascination with GBA games on the Wii U and, instead, put them on the 3DS, where they truly belong. Running and gunning on Gunstar Heroes 3D, and I'll check out the Capcom sale next week. I'm considering getting The Bridge. Seems like my type of game. Super Mario Maker is where it's at for me, but I'll probably be getting the physical version of the game. I bought the Phoenix Wright Trilogy during Capcom's last sale. If it's on sale this time, I might pick up Dual Destinies. Does it matter that I haven't played Apollo Justice or Miles Edgeworth Investigations? Heh, Freedom planet can wait a bit longer. If Super Mario Maker is successful, will we see a Zelda Maker? @allav866 Apollo Justice is a must as Dual Destinies is a direct segue. Ace Attorney Investigations, in the context of this question, not so much. Otherwise, it's also a fantastic game that you should play! @ikki5 I just don't see even any weird coincidence here. That has nothing to see. Anyway, not really, I won't be happy until they release Fire Emblem: Shadow Dragon here. @NTELLIGENTMAN That would be great, but they already said that would be so hard to create. The Bridge and Gunstar Heroes for me! Just in case anyone else cares.....it's 25% off Monster Hunter 4, not 65%.